Although iPhone 7 and 7 Plus is equipped with one of the best cameras ever, still there’s lot of improvement needed. Well, you might be thinking that camera apps in the App Store can help to improve the quality of the photos taken by the iPhone 7 and 7 Plus. But there are number of people looking for something that can just not only improve the quality of their pictures, but also increase the resolution of their images or zoom in on a distant object to grab great photo. Is it possible? Fortunately, we are living in the 21st century that made almost everything possible. 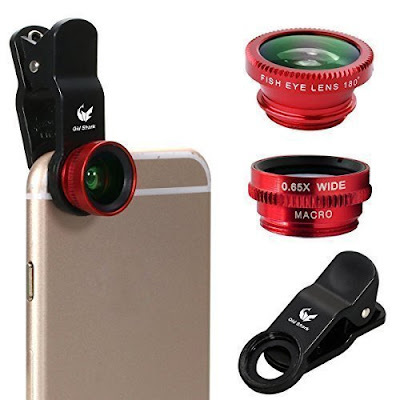 Of course, you can make the iPhone camera as good as your DSLR with the help of Camera lenses that can turn your smartphone camera to a powerful, all-purpose professional camera. If you want to take your photography to the next level using your smartphone, CamKix Camera Lens Kit is the best to grab. This one’s a complete kit for your advanced level of photography that consists of 4 great cam lenses that give you an array of shooting options to enhance your mobile photography experience. 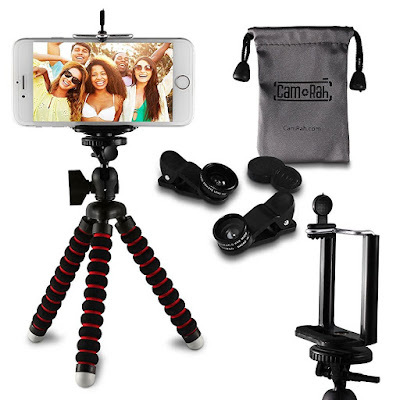 Additionally, the kit also offers a mini tripod stand with extended legs and universal phone holder that grabs your phone firmly for the smooth photography session. Another lens kit with the bunch of extra ordinary features is next on our list with the name CamRah iPhone Camera lens kit. The kit offers 3 universal lenses, fisheye wide angle and macro, 2 lens clips, octopus tripod, storage bag along with the photo tips. Thus, everything that you need to take your photography to the next level is included in this kit. Moreover, the entire kit is compact and can fit exactly to your pocket that you can take anywhere with you. This one is another best lens kit that can easily attach to your iPhone 7 through a basic cord. The kit consist of 3 Universal lenses with upgraded version that provides the users with high clarity images, wide angle pictures, strong visual distortion and highlights interesting details and textures of the subject through 10X Macro lens. So, this kit has all the things that you need. This kit includes high quality lenses that can help you shoot stunning pictures, without any hassle. 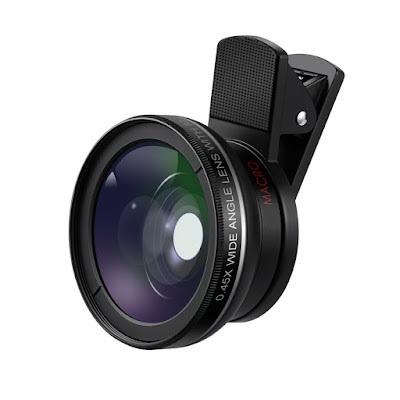 The kit contains the 2-in-1 tiny clip on HD lens that is detachable for the mobile phones, with the macro and wide angle lens. 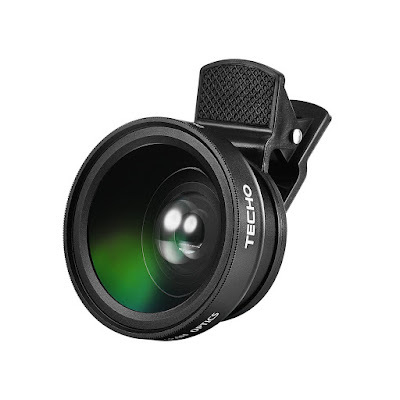 TECHO Universal Professional HD Camera Lens Kit features premium rimmed glass, professional high definition lens that reduces the glass flare and ghosting caused by the reflections, to make your pictures, extraordinary stunning. The entire package contains lens cover, user guide, lens cleaning cloth and TECHO retail box, to make your photography experience hassle free. 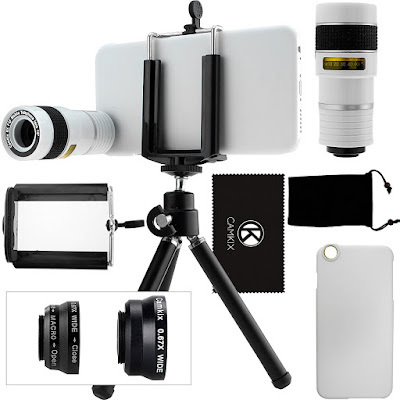 For the professional iPhoneographers, this camera lens kit is worth trying. The iPhone Camera Kit offer HD camera lens that can meet all your demand of capturing high definition and amazing photos. The Ultra Wide Angle which offers 0.45x wide-angle largely increases your wide-angle range, enhanced and professional photography without glass flare and reduced ghosting. Moreover, the kit is portable and universal that definitely makes it a cheaper but functional kit. These lenses are the perfect investment for those who are looking for some serious photography using their iPhone 7. Previous story How to Use Connect iPhone 7 Plus to Big Screen & Projector?